What do you do after the cookout, present are open, and when the everyone leaves? That’s right, you sit down and watch some horror movies. These movies are all about Fathers. Horror Movies are full of Evil Fathers who caringly teach their children their evil ways or maybe they just want to torture and or kill em. So here are a few of the most vile evil nasty and caring Fathers around…. Happy Father’s Day! 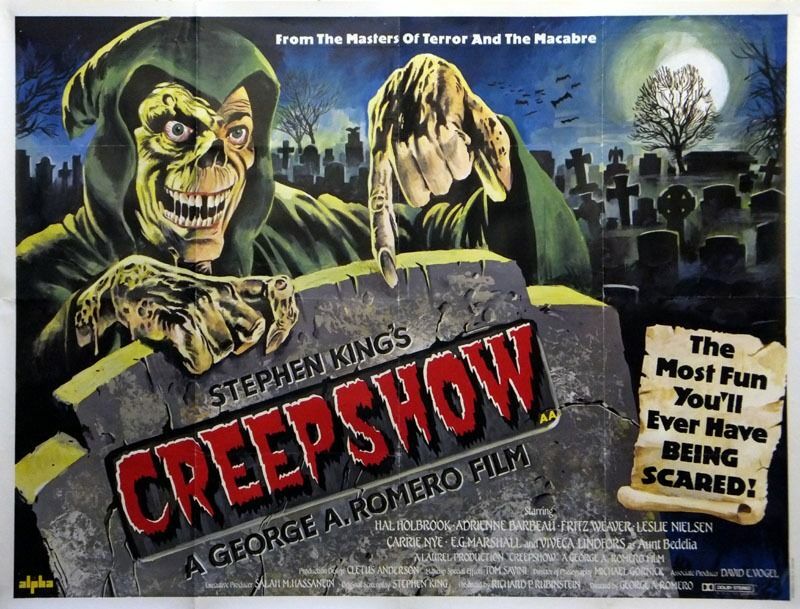 The first segment in the anthology Creepshow is called “Father”s Day”. A woman who is taking care of her abusive elderly father, kills him in a fit of rage while shouting “Happy father’s Day!”. However Dad, still wants his cake years later and might just come back from the grave for it. What lengths would a Father go to if he lost his young son in a tragic accident? What if there were ancient burial grounds nearby that could bring him back to life? What Father wouldn’t at least try to help his son? But at what cost? What will the toddler come back as? Also check out Pet Sematary 2 for a very evil Zombie stepfather. Daddy and Mommy live in a very large mansion while their tenants live in slums. After Daddy and Mommy try to evict families from their slum buildings, some of the tenants try to break into the mansion to steal gold hidden in the walls. What the thieves end up finding instead, is pretty terrifying. He marries a widower but her daughter is very suspicious of her new Dad. She looks into his past and finds some very troubling secrets. All work and no play makes Jack a dull boy. It also makes him chase after his family with an axe! Jack Nicholson goes Psycho after arriving at the Overlook Hotel to be the caretaker for the off season. He becomes possessed by the Hotel and terrorizes his wife and young son.